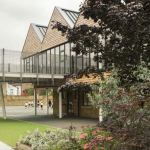 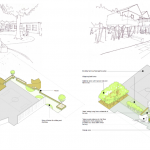 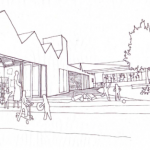 Pegasus Academy is an award-winning school refurbishment in Croydon, London, designed by the architect Hayhurst and Co.
Howard Miller Design developed a landscape strategy for the project. 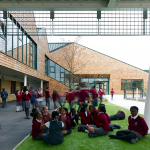 The original school site was divided into soft and hard outdoor areas. 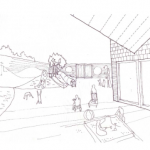 The playing field was located to the south, with a tarmac expanse at the northern end. 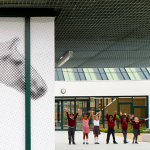 The scheme sought to re-dress this balance, and to create a variety of fun and inspiring spaces to support the school’s activities. 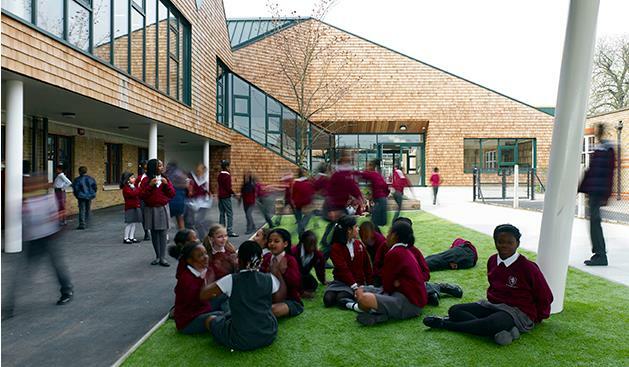 Hard landscaped surfaces for PE, and to unify internal and external spaces. 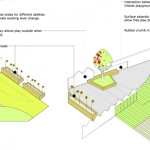 The tight budget allocated to the landscape was concentrated along a rich ‘green strip’ down the middle of the site. 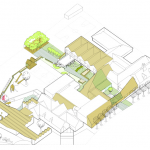 The strip moves from more formal activity areas and planting at the schools’ entrance, to wilder habitats towards the perimeter of the grounds.